Home » Articles » The Persian Cat: Grooming, Health, and More! 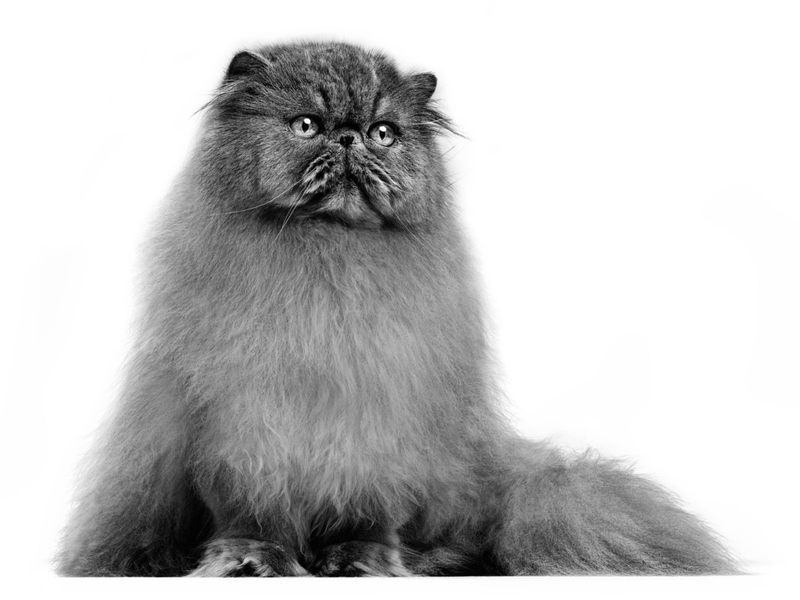 The Persian Cat: Grooming, Health, and More! This breed has a quiet, musical voice, but communicates mainly with their large, expressive eyes. The Persian has a sweet, gentle nature and is easy to live with. They are happy to be combed and petted, and like to play but are unlikely to join in boisterous games. Persians are creatures of habit and prefer calm atmospheres and gentle handling. They like the security of being on the ground and don’t often climb. Read on to learn more Persian cat facts and discover what makes this breed unique. Find out how to care for the Persian in each stage of its life. The Persian breed’s sweet, gentle nature means that Persian kittens assimilate easily into any household. However, they much prefer a calm and quiet household to noisy or lively environments. Although not a large breed, the Persian grows slowly and takes time to reach full maturity. Their long and iconic coat will not reach its peak until well into adulthood. They can be patient with young children, but shy away from boisterous behaviour, so interaction should be gentle and supervised. Despite their somewhat grumpy expression, adult Persians are sociable, affectionate cats who will bond easily with any member of the family. These cats are not demanding of attention and will happily spend time alone, whether their owner is in the house or not. A long, luxurious coat, with a dense undercoat, is the signature of this breed. 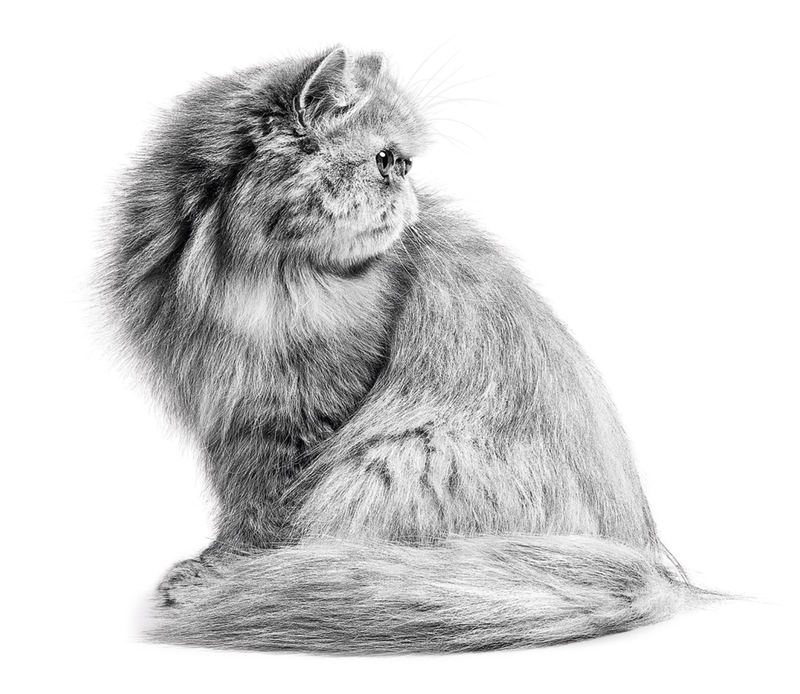 Knowing how to groom Persian cats is very important as the hair on the ruff can reach 20cm in length. The Persian cat’s grooming needs are much higher than other breeds, as well as extra protection to maintain the health of their sensitive skin. When taking into account your Persian cat’s shedding tendencies, daily grooming is recommended in order to avoid tangles, mats and loose hairs, and keep their coat healthy. Their relaxed temperament means that even as adults they are often content to stay indoors rather than venture outside. They do appreciate time spent playing and interacting with their owners but they also like the option to relax in a quiet spot undisturbed. It is important to know how to properly support your Persian cat’s health during every stage of their life. Read on to find out more about this breed’s sensitivities and how they can affect the Persian cat’s health. The Persian has a large rounded skull and a shortened face and nose that may cause some health problems if taken to the extreme. Unlike other cats, their “flat” face also means that they have a specific style of eating and pick up their kibble with the underside of their tongue. This makes picking up a classically-shaped kibble more difficult, which is why they require kibble that is more suited to their face shape – such as those which are almond shaped. Their very long coats are known to moult all year round and this – accompanied by their dense undercoat – means they are susceptible to frequent hairballs. Regular grooming is important to reduce the risk of hairballs, but feeding a Persian cat food which contains a blend of fibres specifically formulated to stimulate intestinal transit helps the swallowed hair to be eliminated via the stools rather than collecting in the stomach and being regurgitated as a hairball. Persian cats are considered ageing when they reach 12 years old. That being said, your Persian cat’s health and nutritional needs will change as they grow older. It is a good idea to arrange regular check-ups with a vet from the age of 7 years for advice on any diet or lifestyle changes which might be required to support your Persian cat’s health as it ages. The world’s most prestigious cat breed owes its name, but not all its origin, to the fascinating empire of ancient Persia. It is not possible to be exact about the origins of the Persian cat. Most experts agree that long-haired cats are a result of a genetic mutation and the longhair variety of cat could be the result of mating between the European Wild Cat and Pallas’s Cat (the Steppe Cat). The wild Pallas cat was discovered around the area of the Caspian Sea and is also known in the steppes of Central Asia. Long-haired cats were recorded in both Turkey and Persia as early as the 17th century. Today’s Persians are probably descended from a mixture of different breeds and are the result of the work of dedicated breeders over a very long period of time. Launched onto the scene at London’s Crystal Palace in 1871, the Persian’s ancestors moved in the highest spheres of European aristocracy; the breed has never been eclipsed since.